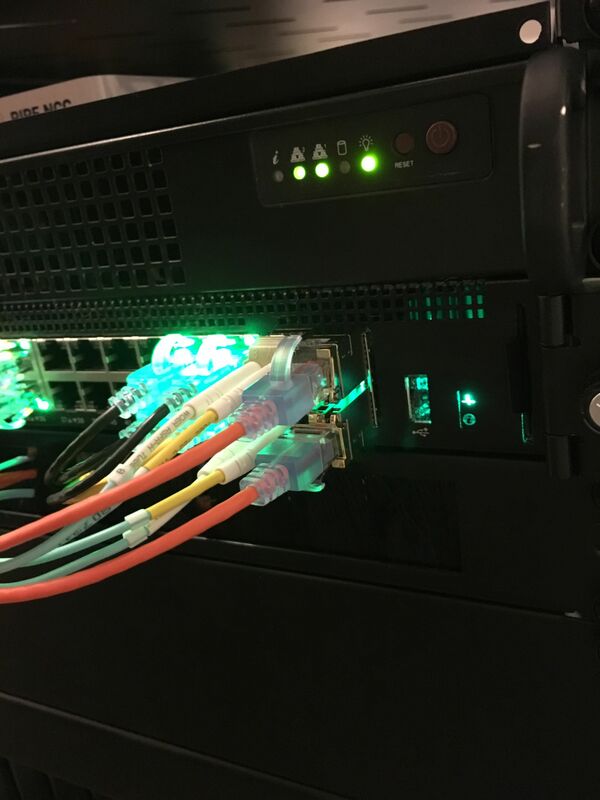 I decided it was time to upgrade the 10G networking in my lab, here is the story about the problems I faced. My main ESXi box has a dual port Intel X540 10G NIC built in, but I don't have any 10GBaseT ports, so I have ran it at 1G for the longest time. 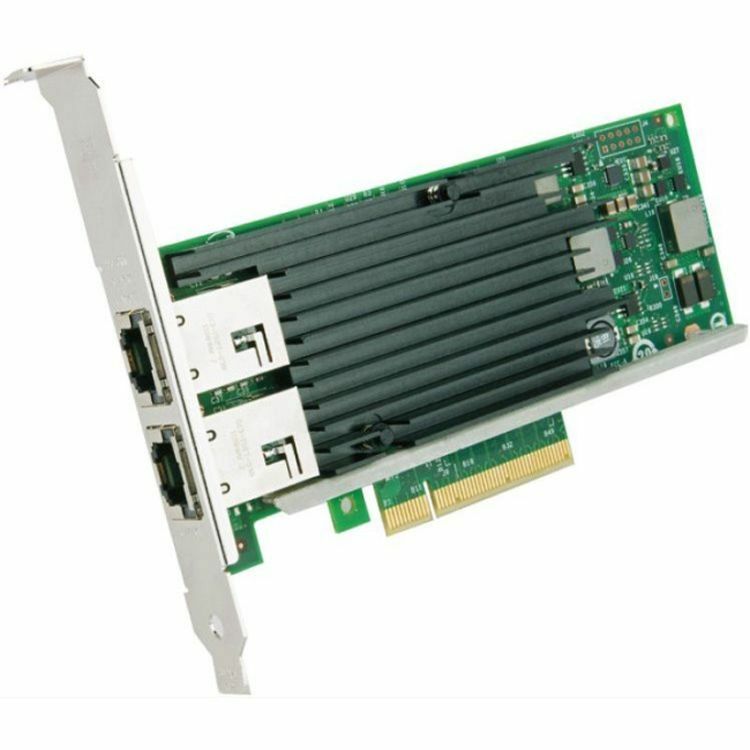 The only 10G networking in the ESXi box is from a single port Mellanox ConnectX-2. A few months ago the retention clip broke on the card, meaning if I moved the server out on the rails, the SFP+ module would just slide out on its own. I decided it was time to replace the card, but then I saw that Fiberstore (FS.com) sells 10GBaseT tranceivers for just $60! I ordered them, and a few OM3 patch cables so I could replace my old worn looking SFP+ DAC's and eventually just toss the Mellanox card. As you can see, the temperature had always been quite high, but airflow, air temperature and load seemed to have no effect on it, so I assumed it just ran hot and that's the way it was. Immediatly I started figuring out ways to cool the chip. 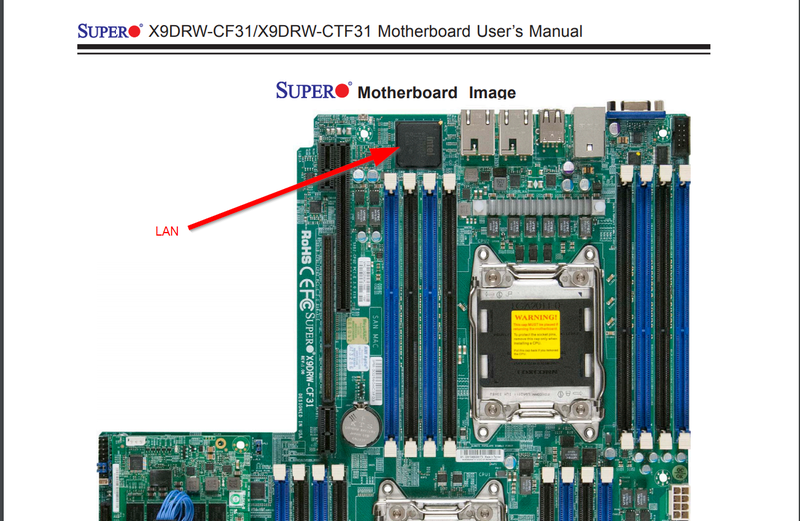 I found a picture of the Supermicro X9DRW-CTF31 board, and saw that the LAN chip seems to have no heatsink. So I figured the fix would be to find a heatsink, and glue it on the chip in hopes I could use it. I took apart a ton of old server gear and found an assortment of heatsinks, and bought some thermal adhesive online. I eventually turned the server off and opened the case, only to find there was ALREADY a heatsink on it! But, it was completely cold to the touch. Supermicro support confirmed there was no heatsink on the board from the factory, so I am not too sure how this got on there. The server was a FireEye appliance originally, so perhaps they installed it? Either way something weird was going on. It was attached with some very strong adhesive I couldn't remove, so I decided to just leave it alone. But I did remove a serial connector and a blanking plate that was directly behind the heatsink to try and improve airflow. But it did nothing.